• Flying off the TV and into your hands, it's the Disney XD hit Avengers: Earth's Mightiest Heroes! • When the loathsome Leader attacks new York City with an army of Monsters, the Avengers get ready for the fight of their lives - but it's the Astonishing Ant Man who holds the key to saving the day! 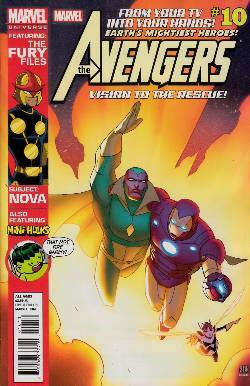 • Then, that techno-terror Ultron seizes control of the Vision to attack Avengers mansion - but the Vision will show Ultron that his you can't reprogram a superhero!